This listing is for 2oz of gorgeous cultivated silk. 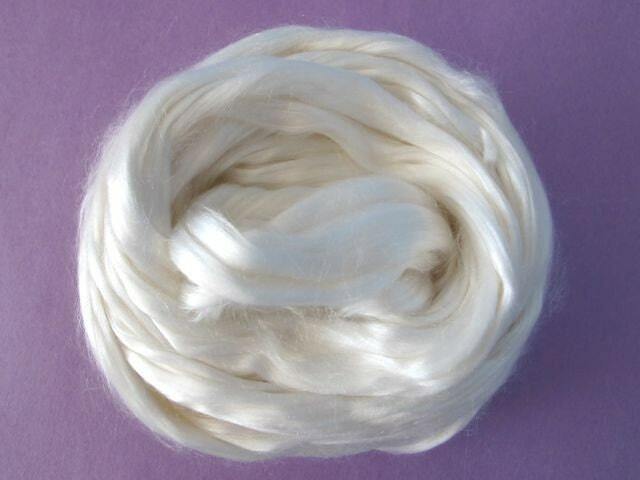 This luxury fiber is so soft and lustrous! Spinners will love the 3" staple length. Needle felters will love the shine. 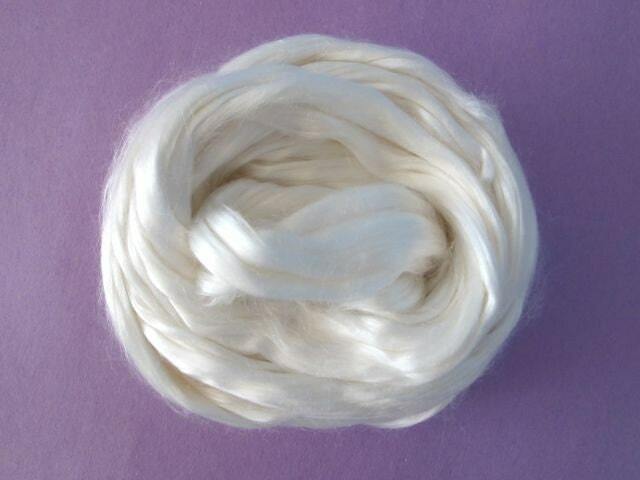 Everyone will love the feel of Cultivated silk!